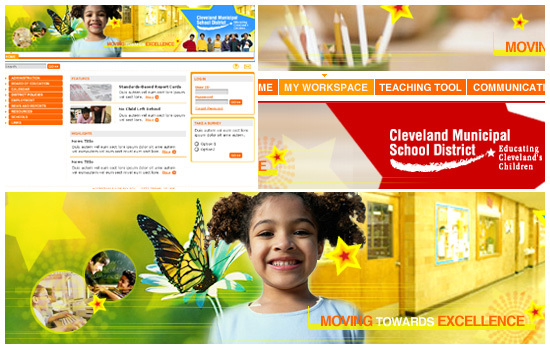 Cleveland Elementary School: Portal solution design using Websphere. In addition to supporting home learning, this solution facilitates increased and accurate communications and information exchanges among parents, students, and teachers. The school's brand image was enhanced through this new design.